Enjoy the top 52 famous quotes, sayings and quotations by Bianca Jagger. The killing of innocent people is always wrong. Americans need to understand the significance of having their civil liberties dismantled. It doesn't just affect terrorists and foreigners, it affects us all. I didn't want to be discriminated against because of my gender and status. I promised myself I was never going to be treated as a second-class citizen. Most governments in Latin America have failed to recognize the rights of indigenous people and their right to their own traditional territories. 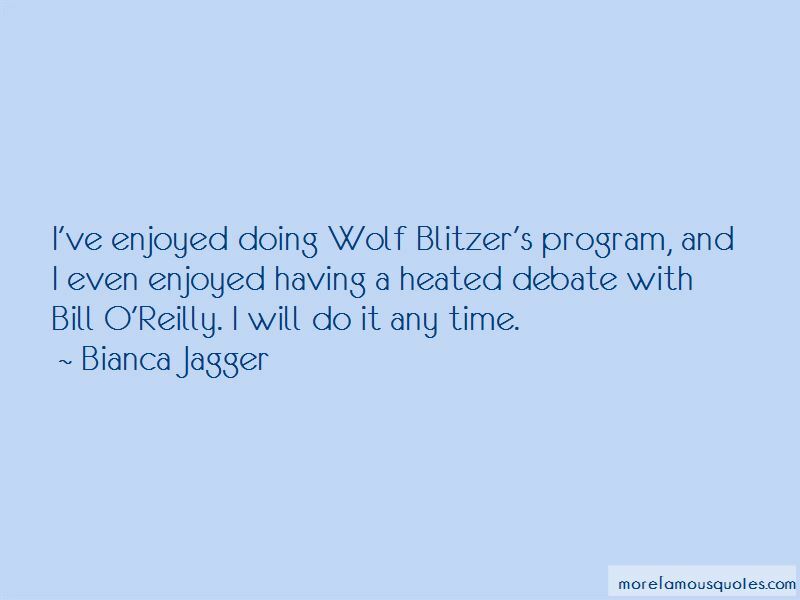 I've enjoyed doing Wolf Blitzer's program, and I even enjoyed having a heated debate with Bill O'Reilly. I will do it any time. I don't think there was really a time when I have not been politically aware. The U.S. embargo imposed on Nicaragua, rather than weakening the Sandinistas, actually maintained them in power. Those who suffer are not those at the top, but are the less privileged members of society. 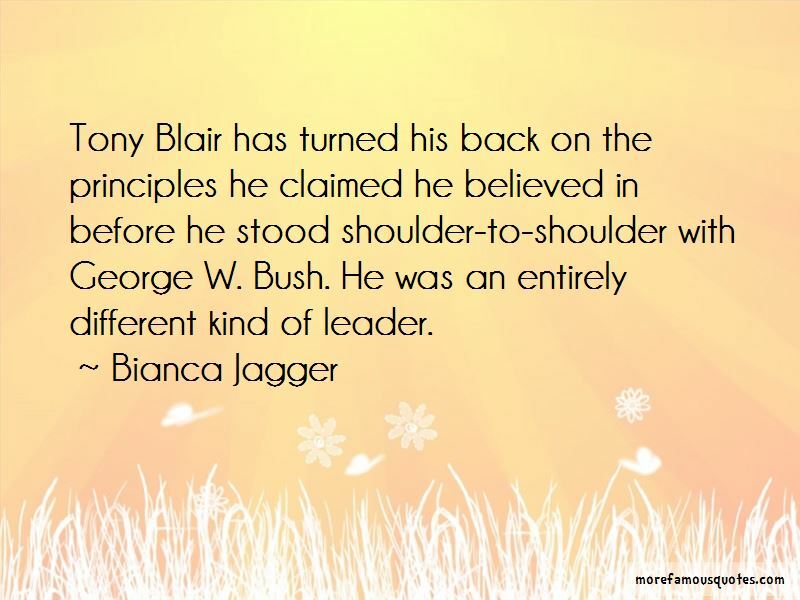 Tony Blair has turned his back on the principles he claimed he believed in before he stood shoulder-to-shoulder with George W. Bush. He was an entirely different kind of leader. What is being said in media in other parts of the world is very different from what we've been told in this country throughout these years between September 11 and today. 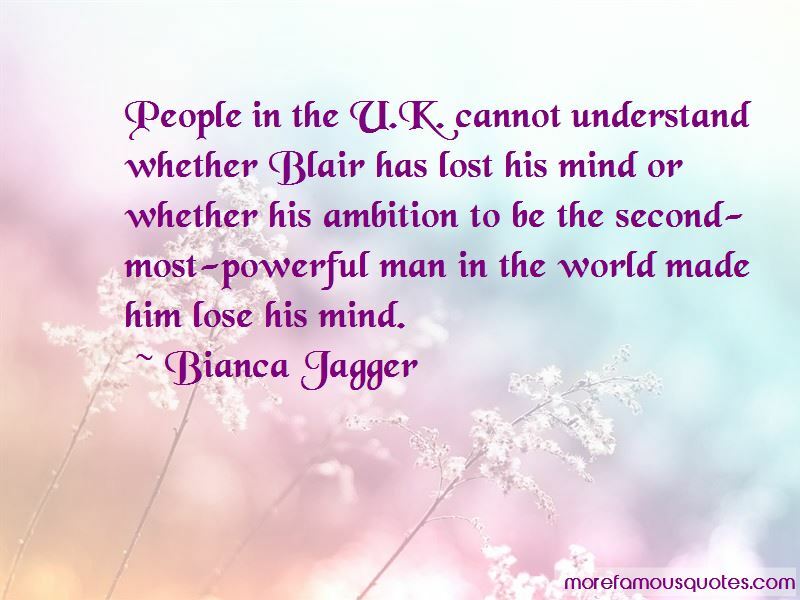 Want to see more pictures of Bianca Jagger quotes? 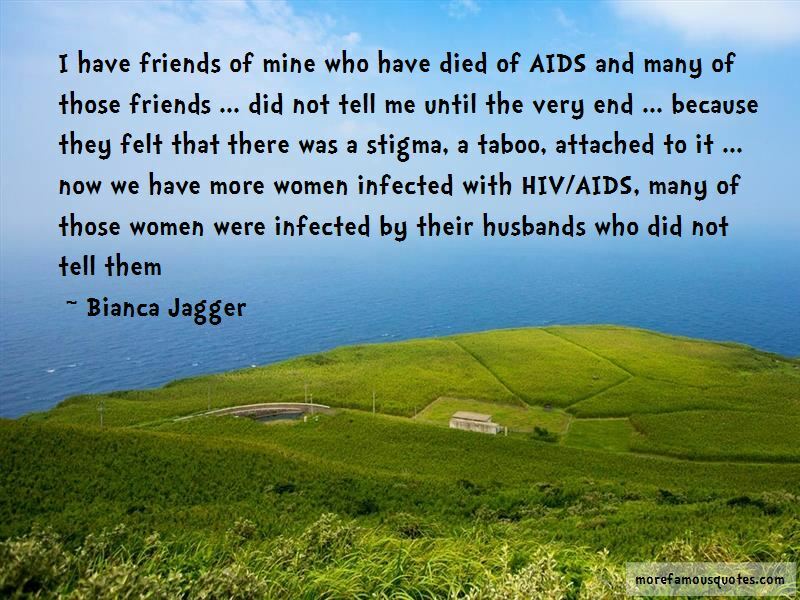 Click on image of Bianca Jagger quotes to view full size.